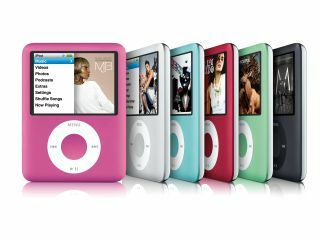 Unlikely as it sounds, it seems a teenager's iPod may have saved her life after she was hit by lightning during a storm. Sophie Frost, 14, from Essex was sheltering from the storm when the lightning bolt apparently struck the tree above her before jumping to earth through her wet clothes and iPod headphones. Although she was burned when the current passed through the iPod, she escaped serious injury because of its conducting the lightning to ground. "Luckily, she wasn't actually wearing the headphones. If she had been, she might not be here today. Mind you, the only thing Sophie seemed worried about was that her new iPod was frazzled."